Secretly, many women dream of bedding singer Diamond Platnumz. Diamond knows it, Zari Hassan knew it and even Hamisa Mobeto is always away of it. But it’s rare to hear most of these women, especially fellow celebs, openly confessing how much they want to bed the Tanzanian super star. 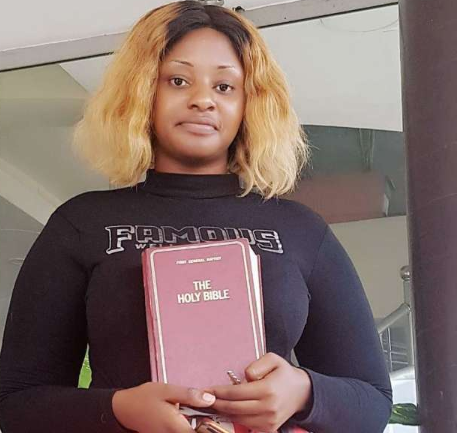 Tanzanian Singer and actress Susan Michael aka Pretty Kind however, didn’t hold back in an interview with a local Tanzanian website and shared that she doesn’t mind having him for a night. “Nitamng’oa tu Diamond kwa Mobeto kwa sababu nampenda sana, ananikosesha usingizi, huyo Mobeto asidhani amefika. Wakati f’lani niliona ni ngumu kumpata Diamond kwa kuwa mama yake alikuwa akimpenda sana Mobeto lakini sasa hivi naona njia nyeupe baada ya Mobeto kuchezea kichapo,” Said Pretty Kind. The singer went on to add that Diamond is now single and any one can approach him. “Hata simuogopi huyo Mobeto, angekuwa ameolewa sawa lakini hajaolewa na wala Diamond hajawahi kutangaza mpenzi au mchumba wake kwa sasa. Mimi nasema, wasionijua watanijua,” she said.